How do you budget? Whether you’re dealing with debt, financially stable or financially independent, almost everyone has to consider how they will spend their hard earned money each month and that is where budgeting comes in. praise the idea of having a zero-based budget again and again. The concept of a zero-based or zero-sum budget is simple. You want your total monthly income to match your total monthly expenses to the penny, so you will have no extra money leftover at the end of the month. So if you earn $3500 each month, you need to budget to spend, save and invest $3500. A zero-based budget is effective because it allows you to optimize your money and give each dollar a purpose. Instead of having $50 at the end of the month to blow on nonsense, you can factor that $50 into your predetermined spending and set categories for bills, saving, debt payments, entertainment, food, investing etc. Create a list of all sources of income and add everything up. If your income is regular this should be easy. If your income is irregular and varies from month to month, you should track the past 6 months and compare the differences. If the difference is small, like if you make $4500 one month and $4560 the next, you might want to just average everything out. If you work for yourself or if your income can fluctuate by hundreds or thousands of dollars, you should still average your income out based on what you earned during previous months but go with a lower number because if you earn more than that number, you can always save the excess or if you earn close to that number one month, you’ll be right on track with your zero-based budget. Another way to regulate your zero-based budget with a fluctuating income is to start living on last month’s income. When you live on the previous months’ income you will always know exactly how much you have to budget with at the beginning of the month so there will be no surprises. Write down all the expenses and bills that you have coming up for the following month whether they are big or small. In other words, if money had to leave your wallet or account, write it down and assign it a budget category. Don’t forget to include monthly savings goals and other contributions. Those are expenses too! In a separate list, write down all the non-monthly expenses that only come around quarterly or annually like auto insurance, homeowner’s insurance, your vehicle registration etc. The final part of the equation and the key to making your zero-based budget work out, is to get your expenses to equal your total income. This often involves creating a budget category for everything. Most people are opposed to budgeting down to zero because that might mean that they won’t have any extra spending money to fall back on toward the end of the month if needed. It’s the exact opposite with zero-based budgeting. When you create categories for all of your expenses including money for leisure activities and fun, you will have plenty to spend and still be on track to reach your financial goals. 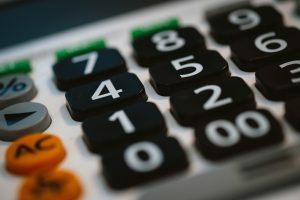 If you need a zero based budgeting template a good place to start might be the downloadable budget template at thousandiare.com.
. The book has sold millions of copies and has helped hundreds of thousands of people resolve their debt problems. Its got something like 4.5 stars with over four thousand reviews on Amazon.com. Definitely pick up a copy if you get a chance. Do you used a zero-based budget? Why or why not?